(Dec. 16, 2013) — Huajing Maske, director of the Confucius Institute at the University of Kentucky, has received a 2013 Confucius Institute Individual Performance Excellence Award. The honor recognizes UK's director as one of the top 15 leaders of 430 Confucius Institutes worldwide. Maske received the international award at the opening ceremony of the eighth Confucius Institute Conference held Dec. 7, in Beijing. The award is given to 15 individuals worldwide among the directors of 430 Confucius Institutes (90 in the U.S.), 250 Confucius Classrooms and the university leaders whose institutions have Confucius Institutes. The award was presented by the Vice Premier of China. "I feel very honored to receive this award, but most important, I feel that this is another great opportunity for UK's name to be known by the more than 2,000 attendees from higher education institutions around the world and in China," Maske said. This is the second year in a row that UK Confucius Institute won one of the two competitive awards presented by the Office of Chinese Language Council International (colloquially known as the Hanban). 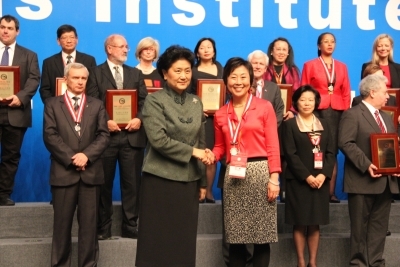 Last year, the institute won one of only 25 Confucius Institute of the Year awards. "Dr. Maske’s distinction among more than 400 directors world-wide speaks to the exemplary work she is doing at the UK Confucius Institute, which continually earns international accolades,” UK Provost Christine Riordan said. 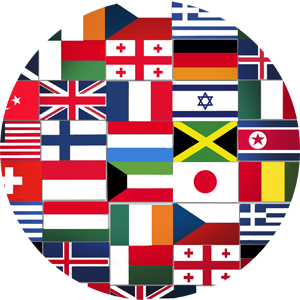 "Internationalization is a vital commitment at UK, which weaves through our education, research and service missions. We commend Dr. Maske for her role in this commitment." The mission of the UK Confucius Institute is to serve as Kentucky’s gateway to China in the areas of education, arts, culture and business. Maske and her staff have been largely successful in fulfilling this mission at UK, local Kentucky schools and in the community at large. Since its inauguration, the institute has positioned itself as a conduit of UK’s China initiatives, and created many successful partnerships between colleges at UK and Chinese Universities. UK Confucius Institute has also played a valuable role in K-12 Chinese language and cultural education.